DB SCHENKERfull load or DB SCHENKERpart load now boast improvements in the form of a firework of transportation options. Select your perfect combination and benefit from greater speed, security and planning accuracy for your direct freight shipments. 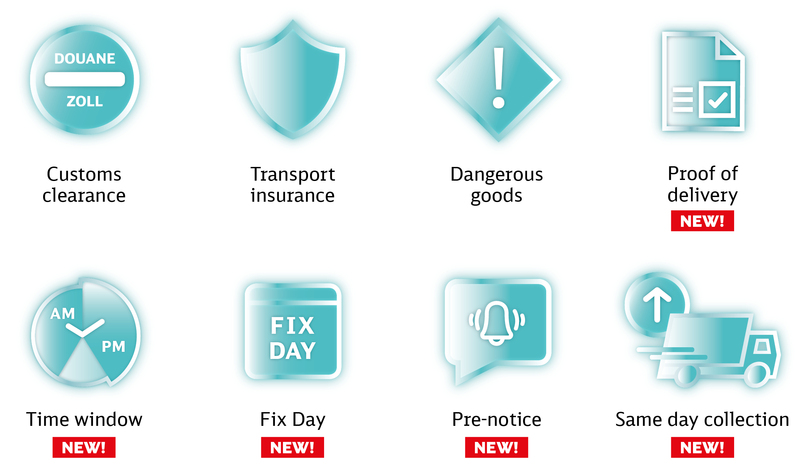 Rely on approved DB Schenker quality at a very attractive price – book your product plus all the options you need at eSchenker. Our fully digital booking process ensures the ultimate in efficiency. ...plus a full set of options! The fuel clause for month of March is CZK 30,91. The amount is defined as the average price of diesel according to the Czech Statistical Office for the period from September 2018 to February 2019. The currency clause for the month of March is CZK 25,725. The amount is defined as the average EUR exchange rate according to the Czech National Bank for the period from December 2018 to February 2019. Get in touch with your local contact and discover what we have to offer! Benefit from the competence of one of the world’s leading global logistics providers with personal support in every European Country. Local expertise for your success!